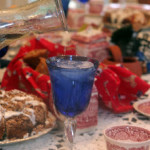 May Flowers Brings Fun to Tyler and East Texas! 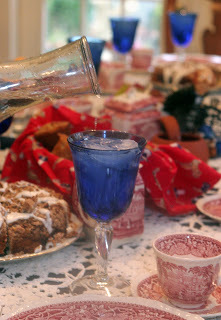 This blogger took a couple of weeks off for Easter! Hoping all of you had a great holiday and found all the eggs! So lets look and see what is happening the next few weeks in the area so you will know when you stay with us at The Rosevine Inn Bed and Breakfast and Extended Stay Suites! rs, lots of things have changed in the Original First Monday Park. The genuine, down-home human relationships between vendors and shoppers are the reason people keep coming back. 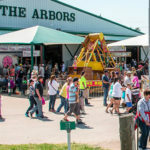 This is a place where you can slow down, visit and ask questions, talk to collectors and antique dealers and meet the artists and craftsmen who create one-of-a-kind items! Sat., April 29 at 8 p.m.
At The Liberty Theatre Downtown! 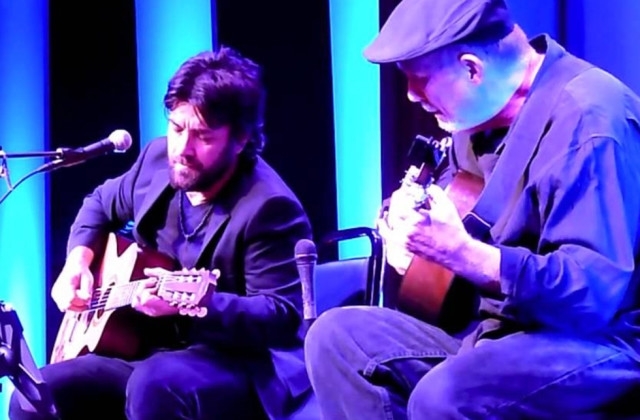 A concert with Bob Schneider & Mitch Watkins Two great Austin native musicians coming together to perform live. The musical talents of Bob Schneider and Mitch Watkins will soon be joined for the first time in Tyler. The mix between Schneider’s funk, country and folk music and Watkins’ jazz guitarist streaks is sure to be a great time. 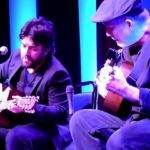 1999 was the start of Schneider’s solo career and Watkins picked up the guitar at the age of 13.. Their musical journeys have taken them down many stylistic pathways, and to the far corners of the globe. This venue is already sold out this year!! Believe me, you will be able to hear the music , as this is an outdoor venue! 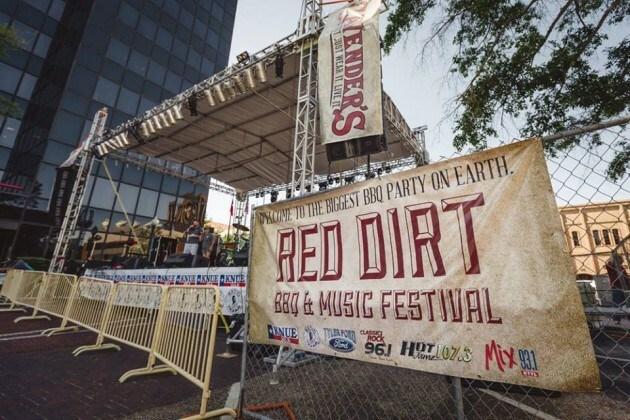 So go to Stanleys’ BBQ enjoy some BBQ then take your chair , set up outside the barrier and have fun. Don’t forget to get your tickets for next year Early!! 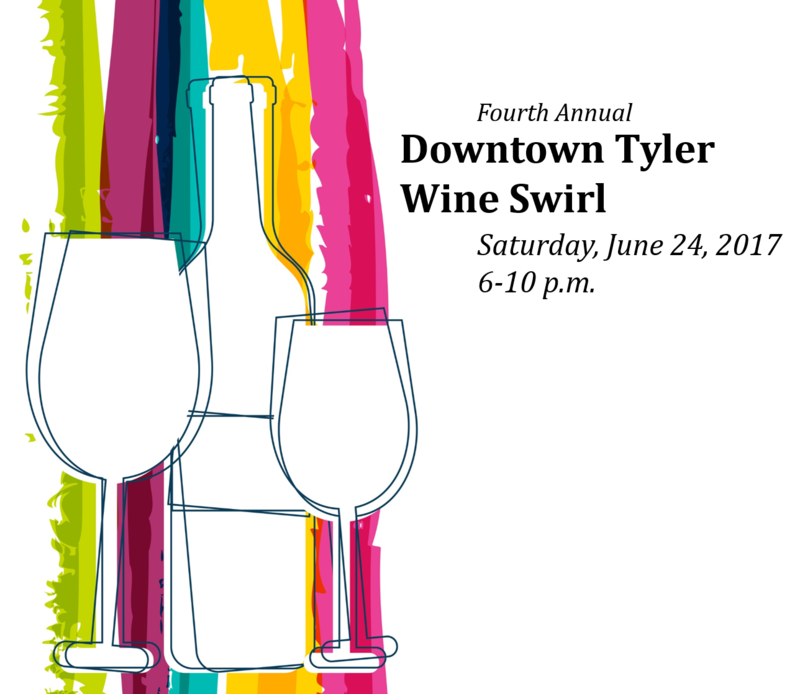 Swirl-It is on June 25th this year and tickets just went on sale!! 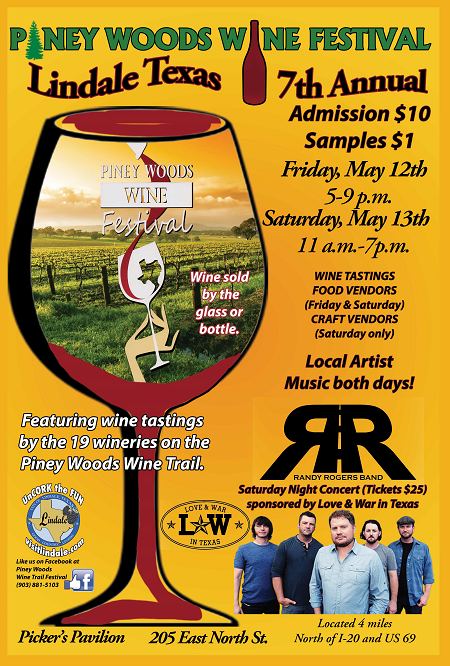 Speaking of Wine festivals, The Piney Woods Wine Festival is held in Lindale, Texas. It is only 15 minutes form the Inn-just north of Tyler. 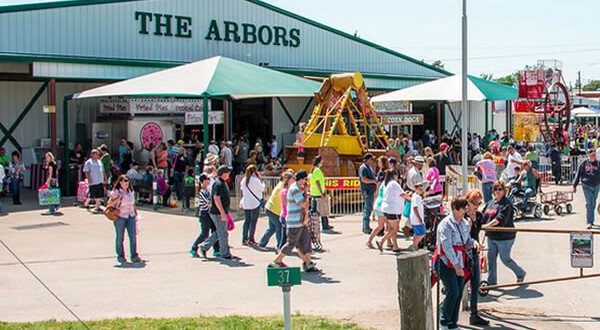 Saturday, Artisans geared for the wine enthusiast will have their booths set up at the Festival. Come uncork the fun with us for musical entertainment, great food, and of course wine! The event features wine tastings by the 19 wineries that make up the Piney Woods Wine Trail, many of them national award winners. It all begins Friday, May 12, 2017, 5pm till 9pm and Saturday, May 13, 2017, 11am till 7pm. 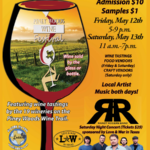 Saturday, Artisans geared for the wine enthusiast will have their booths set up at the Festival. Come uncork the fun with us for musical entertainment, great food, and of course wine! Friday, May 12 at 8 p.m. Tickets are $7 At the Liberty Theatre-Downtown. Saturday, May 13 at 8 p.m.
VIP Box Seats are $200 (admit 4 people) only 3 available Ruthie is a singer/songwriter in the Austin scene.She has collaborated on stage with artists ranging from Bonnie Raitt to The Allman Brothers to Susan Tedeschi. Breakfast and Extended Stay Suites of course and rest and relax before or after your adventures. make your reservations today! And don’t forget Fires burn nightly (until it gets too hot!!) and breakfast is served daily. 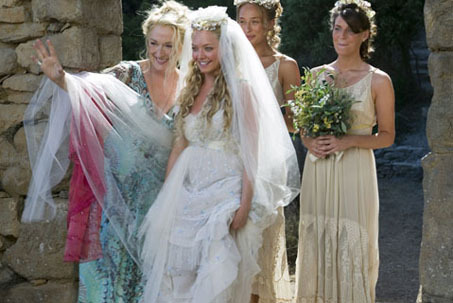 Your innkeeper Becca signing off! 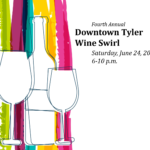 This entry was posted in Tyler Things to Do and tagged Canton Trade Days, Cowan Center, East Texas Symphony, Liberty Hall-Tyler, Rosevine Inn, Shopping, Tyler Civic Theatre by admin. Bookmark the permalink.